The Link Structure of a website is one of the most important SEO factors. It affects how the pages point to each other and how the links are placed within the pages. In the previous 2 articles we examined in detail several Common On-page Optimization mistakes and some Common Web Development mistakes that affect the SEO campaign. In this article we will discuss about the common mistakes that take place during the development of the Link Structure of a website. The links are one of the most important components of the web. They connect the pages, they permit users to move from page to page and they flow PageRank juice. Having more than 100 links per page is not recommended since users will not be able to evaluate or visit all of them. Keep the number of links per page as low as possible and help users and search engines to focus on the most important pages. So have in mind that if you add more than 100 links per page, you force one of the guidelines of Google and you make your site look more like a link farm. One of the important factors in Google ranking algorithms is PageRank since it measures the importance/authority of a page. Usually the page with the highest PageRank value is the homepage since it receives the most of the links. Nevertheless this does not mean that the internal pages that receive fewer or no external links can’t have high PageRank values. 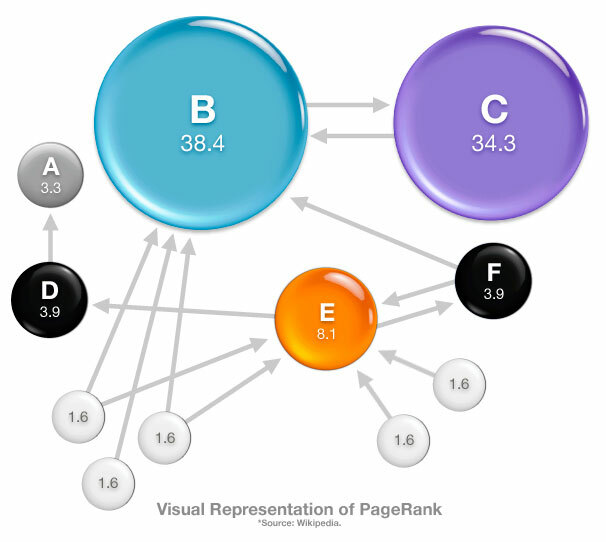 The PageRank flows from page to page through links (internal or external). Thus by manipulating the link structure you determine which are your important pages. This is done by linking to the important pages directly from your homepage and by passing to them part of homepage authority. If we use a simplistic approach we can imagine that the authority of a page is divided into pieces that are passed to the other pages. The higher number of links per page, the less amount of PageRank is passed to each page. So if you have too many links, the authority is divided into very small amounts and in this way you don’t focus to any particular page. Thus make sure you don’t link all pages to all pages in your site. Have a tree structure where in the zero level you have your homepage, in the first level the main menu with the main categories, in the second level the sub categories and so on. Also ensure that you link directly from the homepage to the pages that produce the higher amount of revenue. 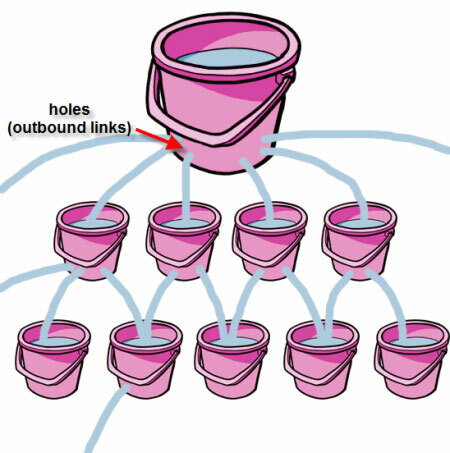 If you want to learn more about how PageRank flows and how PageRank Sculpting is performed read the article “The PageRank sculpting techniques and the nofollow issue”. Dangling pages are the pages that have no links for other webpages. In this article we will not focus on any maths or on the theory of dangling links. We will only mention that danglings lead to PageRank losses, since they evaporate all the amount of PageRank that they receive. Some examples of danglings are the PDF files, the Powerpoint presentations (PPT), the HTML pages that have no <a> in them etc. Broken or deadlinks are the links that no longer point to an existing page. This could happen due to page removal, due to the close down of a domain or even due to the addition of a wrong URL. Broken links evaporate PageRank and reduce user experience, so make sure you regularly check your site for dead links. External links are the links that point to external domains. The more external links you have, the larger amount of PageRank is lost from your site. In order to reduce these amounts place those links in a low PageRank page. Additionally make sure you don’t spread them to all the pages of your site but gather them into a single page. Nofollowed links are the links that contain the attribute rel=”nofollow” and they are blocked so that they pass no PageRank juice. On summer of 2009, Google changed the way that handles the nofollowed links and started to evaporate the pagerank that they receive. So have in mind that whenever you use this attribute you lose PageRank. In order to avoid this situation you can use methods that help you maintain the PageRank of your site. These methods can be applied whether you want to nofollow the external links or perform PageRank sculpting. The links not only pass PageRank but also contain information about the target page. This info is displayed as the text of the link and it contains valuable details about the topic of the linked webpage. Search engines use in their ranking algorithms this info and thus it is of great importance that you use your important keywords in the anchor text of all your links. Also have in mind that links like “click here” do not provide useful information to your users and thus reduce the user experience. Google measures the importance on each link by taking into account the position, the font size or styles and the type of the link. During the link analysis they try to identify the menu, the footer and the links that appear in the main content of the page. Then they evaluate the trust, the relevance and the importance of each link. Thus have in mind that footer links are considered less important than links that appear in the main content of the Page. That was the 3nd part of the “Why my SEO campaign failed?” guide. Feel free to add you comments and propose your ideas about the subject. The best suggestions will be added in the list. Stay tuned, because in the next article we will focus on the Common Link Building mistakes.